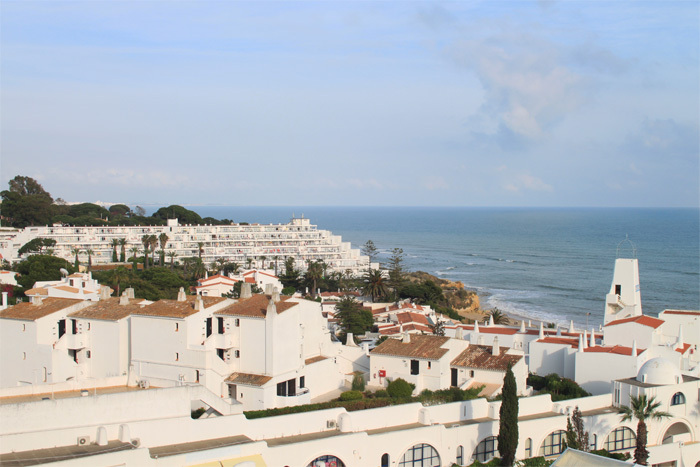 Albufeira! I don’t even know where to begin? A destination that took me by surprise. I had been uhmming and ahhing about where to take my mum on holiday for a really long time. I’d been saying for a few years now that I would for her birthday but now that it had actually got to it and I had the money.. where to go? 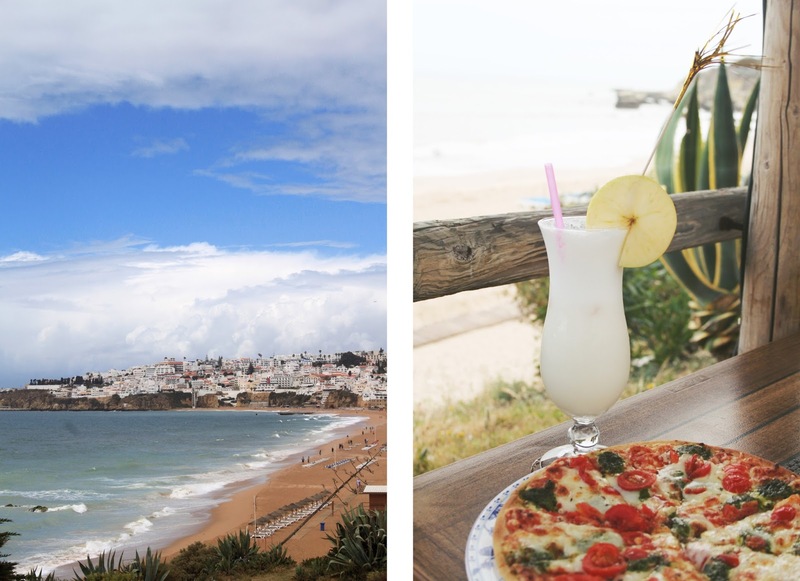 I looked at Croatia, I looked at Spain but in the end settled for Albufeira, Portugal. After hopping off the Eurostar on Monday night, I was back to work on Tuesday and then in Gatwick by Wednesday night, ready to fly out on Thursday! If I was to describe the type of traveller I was, I would say very bad. I am a last minute packer, I don’t research where I am going, I don’t plan on what I am going to do when I’m there but 9/10 it works for me. This was one of those times where it worked out for me! I don’t have too many photos from this trip, as you would of read before while in Paris my camera broke. I had to work with what I could! I had decided to treat my mum an get the best place we could (with a beach view) We stayed in the Oura View Beach Club hotel/apartments with breakfast included (For 2 people, Thursday – Sunday, flights and hotel with breakfast around £750) this is usually quite out of my budget but it was a Birthday and Mothers day gift so I thought, why not? 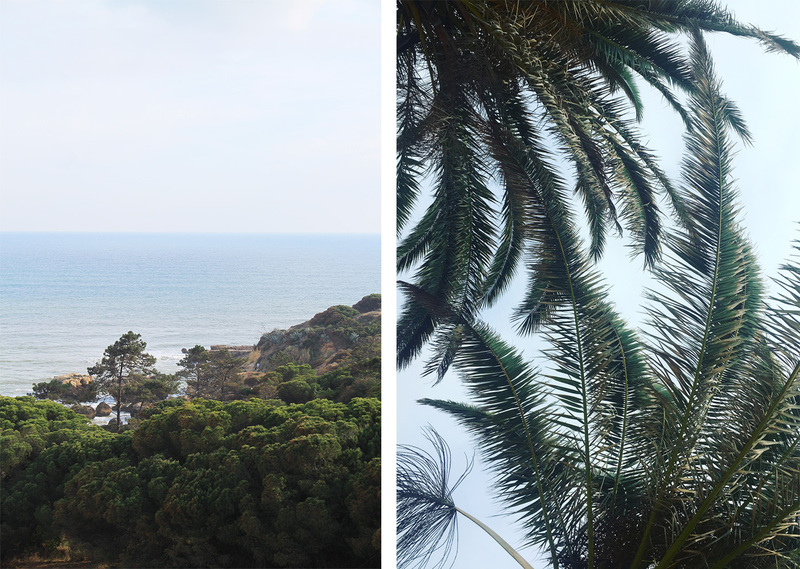 We arrived at our hotel around 10am, so we left our luggage and decided to explore (please read: hiking, climbing on cliffs and giving my mum heart attacks) stopping for crepes along the way and exploring the beach. It was honestly so nice to be back near the ocean and my mum agrees! We spent most our time there just scoping out of the area, eating good food, drinking cocktails and relaxing by the ocean. We did do one tour though..
On our second day in, we decided to do a tour. Most had already sold out or wasn’t our cup of tea but we decided to do a Dolphin Watching and Cave tour for the next day. It was around £60 in total and that included pick up and drop off at our hotel. The weather hadn’t been too great the past two days so we crossed our fingers that the sea would be calm and booked the tour for the Saturday. Now, if you know me, I would of definitely told you this story. It was a complete disaster but I would 100% recommend it! About 30 minutes before we needed to board the boat, my mum started to panic. “What if I get sea sick?” “What if is not safe?” I kept reassuring her, telling her it will be fine, safe and a soft boat and it would be a nice little cruise. No sickness. Just socialising, exploring and dolphin watching. Wrong. Wrong. SO wrong. When we boarded the boat and the Captain announced to hold on to our hats? I should of known. Yep, you guessed it, a speed boat. I was on a speed boat. I, a sufferer of motion sickness, was on a speed boat and on a rough sea. You can see where this is going. We then pulled in the first cave and stopped. Learnt a brief history of it and the sea was so rough. I was just done by this point. I told the Captains assistant that I felt sick (hand on stomach motion, because he didn’t understand English!) The captain found out and started shouting at me to lay down at the back of the boat (out of view) on my side or back and close my eyes and not to speak. That’s how I spent most of the tour. I was super lucky though (thank you body and good weather) and I forced myself up as soon as I heard “Dolphins to your left!” It was such a memorable moment and I wish I got photos but I just couldn’t. The members of staff were SO helpful though. I gave them a big tip at the end, even though I didn’t get to 100% enjoy the tour. After the tour and not getting our sea legs (my mum ended up laying down with me and a stranger also joined us! I no longer felt silly) we hung around town for abit. I had Bueno ice cream! and we ate and ran from the rain. That concludes my trip from Albufeira! Sorry it’s a short one. I relaxed a lot, took some time away and actually holidayed this time as opposed to intense travelling. When I announced where I was going, I got a lot of “Eurgh Brit’s abroad! drunk people!” and I am going to be honest, we did see that but it is very easy to avoid the roads cramped with pubs and clubs and just enjoy it. The locals are really friendly and I definitely recommend this location and hotel! 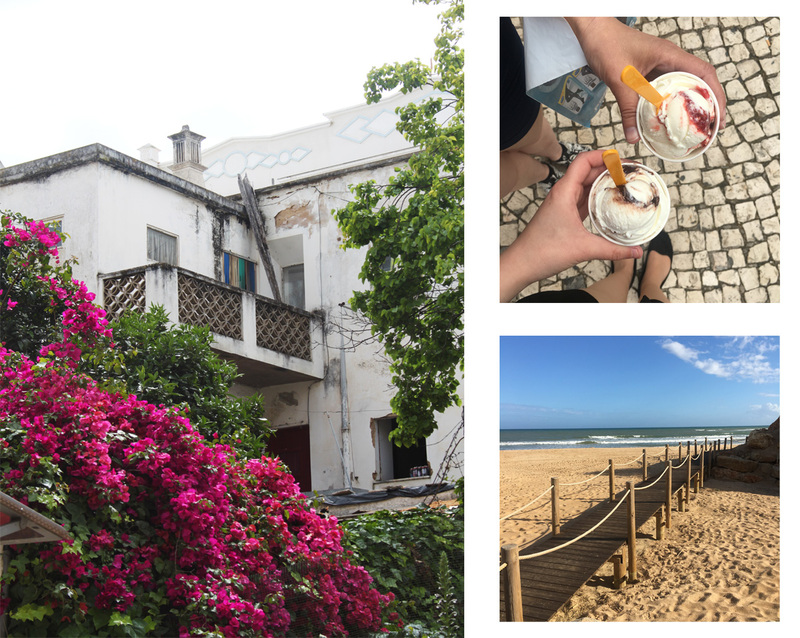 Where in Portugal would you recommend I go next? I would love to go back! "A GUIDE TO AMSTERDAM (72 HOURS)"